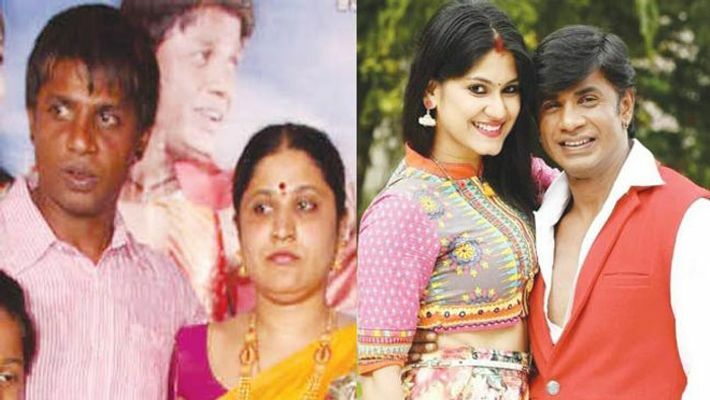 When Kannada actor Duniya Vijay had applied for divorce in 2013, Nagarathna had refused to sign the document, so a compromise formula was drawn between them. Bengaluru: Sandalwood actor Duniya Vijay has applied for divorce from wife Nagarathna, for the second time after 2013. Vijay had recently submitted the CCTV footage of Nagarathna assaulting his parents and second wife with slippers, when Vijay was in jail, in an assault case. Currently, the police has issued a non-bailable warrant against Nagarathna and elder daughter Monica for misleading the police and on charges of assault. But both Nagarathna and Monica are absconding. Vijay has claimed that Nagarathna had treated his parents badly and even misled the police. When he had applied for divorce in 2013, Nagarathna had refused to sign the document, so a compromise formula was drawn between them. When the couple failed to get adjusted with each other, after six months, another pact was made in the presence of the lawyer. Accordingly, Vijay registered the house in her name and another property in his son Samrat's name, Vijay vacated the house along with his parents. In 2016, he married actress Keerthy Pattabhi. In the recently-released CCTV footage that was said to be deleted by elder daughter Monica, it was seen that Nagarathna assaulted Vijay's parents and second wife. Thus, as Nagarathna filed a number of cases (which Vijay claims as fake) against Vijay, in the recent days, the actor has filed for divorce, to settle the matter.